Talk Nerdy To Me: This is Infertility Awareness Week and I am 1 in 6. This is Infertility Awareness Week and I am 1 in 6. It is important to talk about the harder things in life. Often it is our instinct to do the opposite, to guard and hide the hard and messy parts. When the going gets rough, we tend to cocoon, but in reality that is when we need our community of friends and family most of all. We think that we are protecting ourselves. But instead, often it is the fear of rejection and judgement that drives us into isolation, leading us to more heartache. I was once in this place. I was in full pursuit of trying to get pregnant only to continually be left empty handed. My husband and I represent the one in every six couples which experience infertility during the child bearing years. I share my story with you to break down the unnecessary shame and stigma that surrounds this medical condition. In doing so, I hope I give both encouragement to those of you facing similar difficulties, and perspective to others. In many ways it feels like it was a lifetime ago that I was on the roller coaster ride of infertility. Yet, I can be taken back on there on a moment’s notice. Most often, I am caught off guard by a flood of memories and feelings from these days, which can happen when I least expect it. I am at the airport, I see the bathroom where I had to cram myself in a cubicle to give myself a perfectly timed fertility drug injection. I laugh and shake my head. It is a heavy rain fall and I am driving. I am reminded of the day I almost threw in the towel as I drove home in flood-like conditions from a very painful procedure. I wince. I see a woman across the row from me at church. She is older, married and doesn’t have any children. I wonder if she is walking the road I once did. My heart aches. When we initially ran into roadblocks with getting pregnant we only told a few select people. My husband and I supported one another. We were, and continue to be, fiercely committed to one another. We chose to face this trial with lot of prayer, good communication and humour. As time marched on and as we upped the ante with more invasive treatments it became almost inevitable to tell others. Was I hesitant to tell my very personal challenges with others? For sure. In doing so, I had to prepare myself for people’s reactions. I learned to value the people who, at the time, vexed me. They made me think deeper and often fueled my resolve. Sometimes my best support came from the people who initially said all the wrong things. 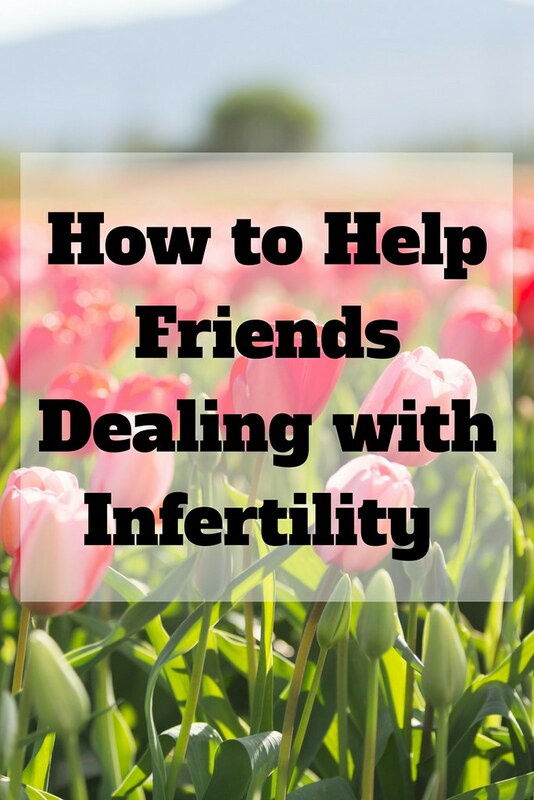 The best gift you can give to a friend who is experiencing infertility is to be open to learning and understanding. Sometimes it’s best to simply say, “I can’t pretend to understand what you’re going through but I’m here for anything you might need.” And when words fail, offer practical acts of kindness to show you care. One friend sent us a cheque and a card in the mail. We received an envelope of cash from someone anonymously. A neighbour friend drove me to an appointment 1 hour away so I didn’t have to be alone. Co-workers demonstrated great understanding when I had to work a very flexible schedule around my medical appointments. My boss was a saint. One co-worker agreed to act as a buffer and let me know of any pregnancy news in the office. I could, and wanted to be, happy when others were pregnant, I just needed time process the information. A friend baked me cupcakes to savour each day of my IVF treatment. Another friend dropped everything when I called her in a panic (okay, near hysteria) and ran to the pharmacy before it closed to purchase my time sensitive fertility medication when I was stuck in traffic. Months later I would make another desperate call to a different friend who works as a pharmacy technician. She would talk me through my latest crisis; I mistakenly froze instead of refrigerated my medication. Throughout it all, I learned that good or bad, I needed people. I would encourage you, if you are in the depths of your own heartache, to not shut yourself away from a supportive community. If you are continually running into hurtful situations, find others who are and have walked through similar experiences. When I found a local infertility support group I found the beauty of people who knew and understood the infertility world. Not only were these people supportive, they empowered me to better advocate for my own health. My days on the infertility roller coaster are now over and I am now firmly seated on the parenting one. I am grateful not only for my two beautiful daughters and ever supportive and loving husband but also a community of people continuing to encouraging us on this latest ride. 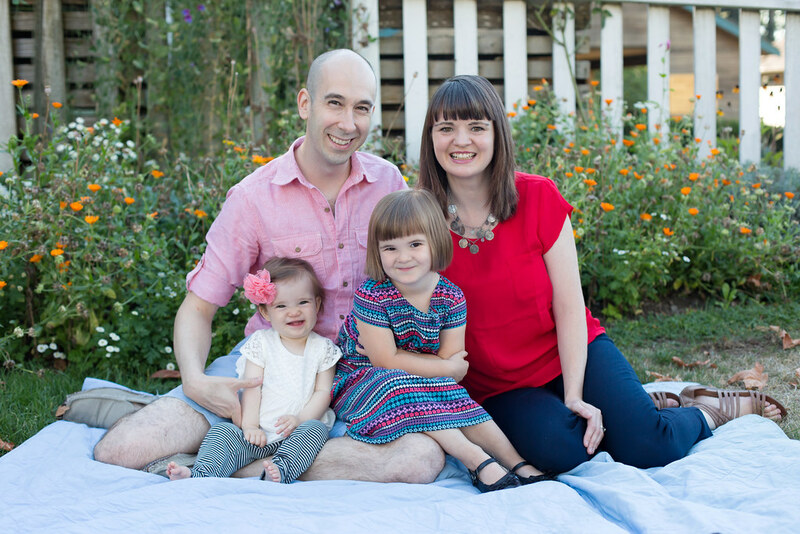 Estelle is a wife, mother of two, and a Child Development Consultant. She is a community builder, supportive friend to many, and a Book Club leader extraordinaire. She is also 1 in 6. Ok seriously this post made me want to cheer and hug all those lovely people who loved Estelle on her journey. And I may have shed a happy tear looking at that family picture. Me too. So many different ways to help someone, right? Thankful she has that community! Beautifully written! What a journey she has been on! I can't imagine...no, I actually can. What a gift she has been blessed with in her two girls...and in the community of supporters. I cheered to hear she and her husband did go on to have their family! This is a good reminder for me to be supportive (and she listed the many ways we can) to those who are on different roads than myself!